By the way, maxed out EE percentage means that your bottlenecked by your CPU. 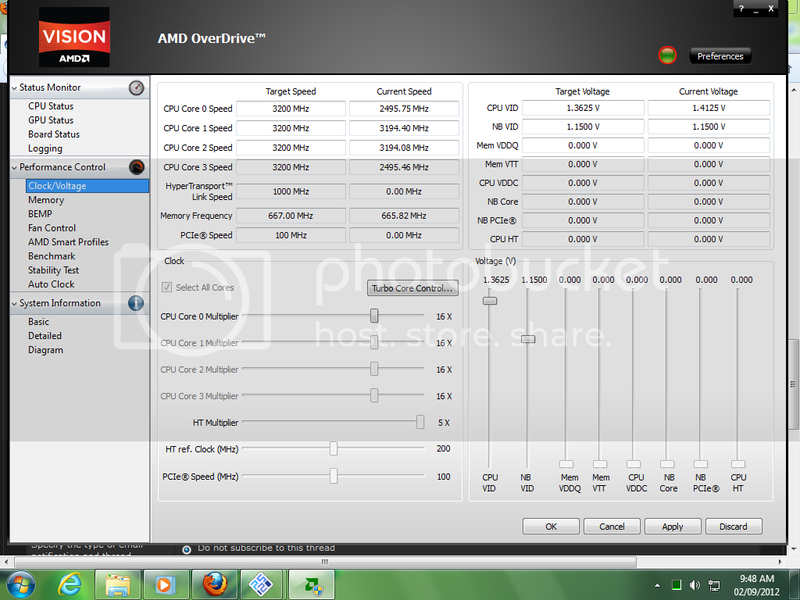 (09-02-2012, 03:50 PM)Ice Queen Zero Wrote: PC Specs? So you mean overclocking wont help? your video card is a built-ined AMD-A6 exclusive therefore it's too weak for demanding pcsx2 games even you OCed it will rendered ineffective. (09-02-2012, 04:05 PM)tallbender Wrote: your video card is a built-ined AMD-A6 exclusive therefore it's too weak for demanding pcsx2 games even you OCed it will rendered ineffective. So if i upgrade my Vid card it will help? unless your mobo have a PCI-E bus slot and put a dedicated video card in it will help. (09-02-2012, 04:19 PM)tallbender Wrote: unless your mobo have a PCI-E bus slot and put a dedicated video card in it will help. Well i have 1 free PCI-E but my computer box is very small.... but what Gfx card is best for svr 2011? Try presets 3/4/5. Try to manually change EE Cyclerate and VU Cycle stealing. (09-02-2012, 05:20 PM)avih Wrote: Try presets 3/4/5. Try to manually change EE Cyclerate and VU Cycle stealing. 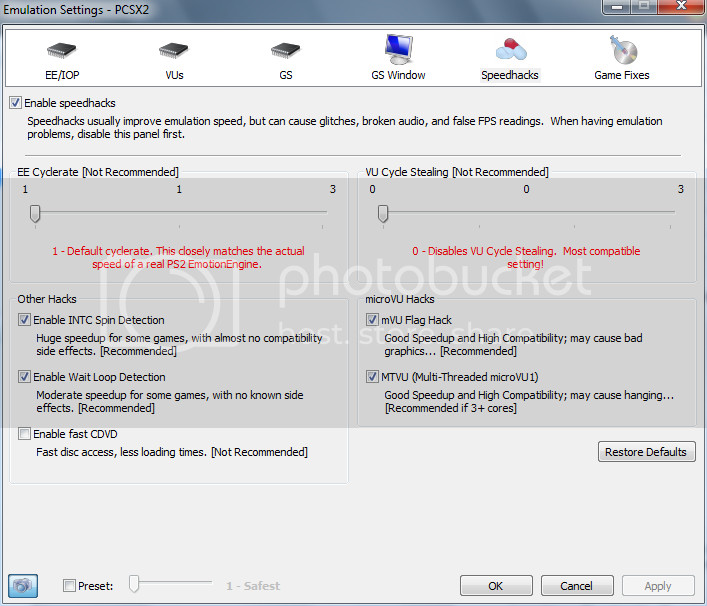 vu cycle stealing (among other speedhacks) will give you a false fps reading.